Cory Booker recently became the latest high-profile Democrat to jump into the 2020 presidential race. The New Jersey Senator immediately became one of the top candidates in the Democratic field. But his race is now in doubt after he just insulted the entire U.S. military with one condescending comparison. 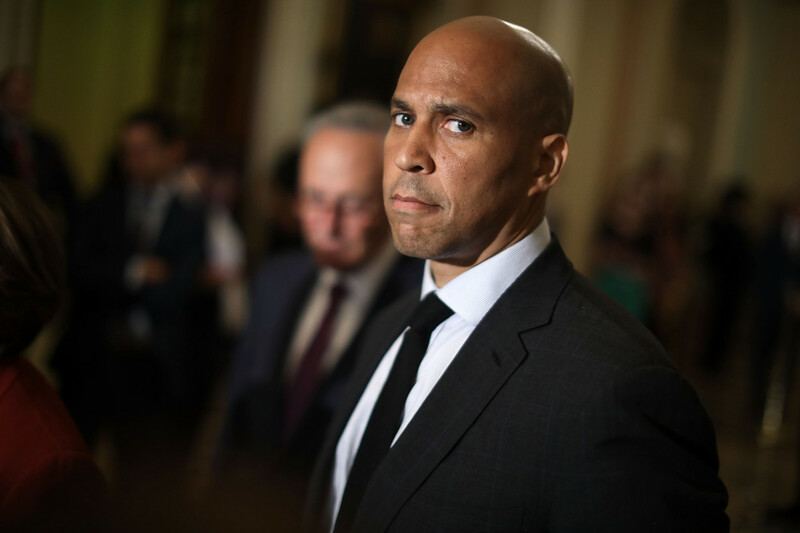 Cory Booker, perhaps best known for comparing himself to Spartacus after releasing documents that were already slated to be released by the Senate during the height of the Kavanaugh hearings, is running for president. But the New Jersey Senator is hoping to put the public embarrassment he faced last fall behind him. And his presidential campaign was supposed to be that vehicle for doing so. However, Booker again finds himself in hot water, this time after defending Alexandria Ocasio-Cortez’s “Green New Deal”. That alone should have gotten him into trouble, as the Green New Deal is perhaps the most ludicrous piece of legislation ever proposed in Congress, but Booker is facing far greater backlash for how he defended it. “And so we have to deal with this. Our planet is in peril, and we need to be bold. That’s why I signed onto the resolution and co-sponsored the Green New Deal,” the New Jersey Senator said in front of a group of supporters when discussing the resolution. When addressing the very legitimate concerns about the deal’s cost however, Booker began to dig himself a hole. While that’s certainly true, Booker made a crucial mistake. He literally compared Ocasio-Cortez’s budget-busting resolution that would see massive government intervention into the lives of every American to fighting the Nazis and going to the Moon. Booker doesn’t seem to realize that comparing the men who stormed Omaha Beach to the current social justice warrior crowd isn’t going to play well with American servicemembers. What’s perhaps just as bad however is that he did so with a sense of pride. Booker doesn’t seem to realize that defeating the Nazis saved the world from totalitarianism, and implementing a massive top-down set of sweeping government controls over people’s daily lives is, to some degree, undoing the work millions of Americans did when they worked to defeat totalitarianism. Booker of course doesn’t really care. He’s just trying to get good 30-second soundbites for his TV commercials for Iowa and New Hampshire. But the distinction is a real one, and his callous insult at the American military shows just how far he’s willing to go to serve as their commander-in-chief. Even so, Booker should know better than to compare some half-baked piece of legislation drafted by a New York socialist to the Battle of the Bulge. Do you think Booker stands a chance at becoming the Democratic nominee and defeating President Trump in November 2020?